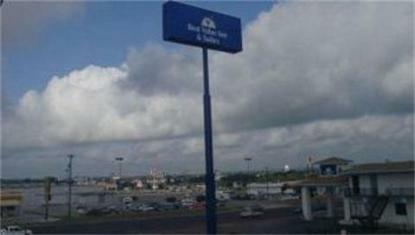 Located between lively San Antonio and Austin, Texas is the Americas Best Value Inn and Suites of New Braunfels. With easy on and off highway access to I-35, this 52 room property offers its guests a crystal-clear outdoor swimming pool, complimentary continental breakfast, kitchenette efficiency suites, and family picnic area with barbecue grills. We are only minutes from the world-renown Schlitterbahn Waterpark Resort, Natural Bridge Caverns and Wildlife Ranch, and historic Gruene. Our friendly staff provides service with courtesy your home away from home.